5 Best Comic Book Movies of 2017! Any way you slice it, 2017 is the finest year of collected comic book movies in the history of the medium. From top to bottom the films released this year range from good to truly transcedent. The year’s consistency in quality is remarkable, severely damaging the frequent shouts of a mythical superhero bubble about to burst (not that it will stop them). You can tell a lot about the slate of comic book movies released this year by the contenders that didn’t make my top five. My least favorite Marvel movie of the year – Guardians of the Galaxy Vol. 2 – is still arguably a top 10 MCU movie, and one of the funniest movies of the year. More controversial, DC’s Justice League is a much-needed course correction for the heroes of the DC Universe, and the movie that has quite literally saved Superman. Despite my deep and unabiding love for the tops of the MCU this year, I can’t imagine selecting any comic book movie over Logan. Aside from the clear craft and storytelling mastery – you know all the essentials that go into great filmmaking – I partially love Logan for how well it course corrects. Hugh Jackman’s Wolverine had been partially salvaged by a return to X-Men movies, but the damage of Wolverine: Origins still permeated all future possibilities for solo movies. The Wolverine was miles improved, but still mid tier comic book fare. Heading into Logan, R-Rating hype train and all, I still had dampened expectations. This was not a franchise likely to lead the year. Then Logan hit with clear-eyed themes and a heart so wounded I’m still trying to convince theater-goers I was cutting onions before the movie. Toss in Patrick Stewart’s remarkable performance as a Professor X riddled with Alzheimer’s (an idea so potentially hamfisted Mark Millar didn’t even try it), and you’ve got a movie with the highest rewatchability marks of the entire field. Oh, and Logan *nailed* the introduction of X-23. Just another challenge knocked straight out of the park. There are comic book movies I had more fun watching, but none were more impressive than Logan. 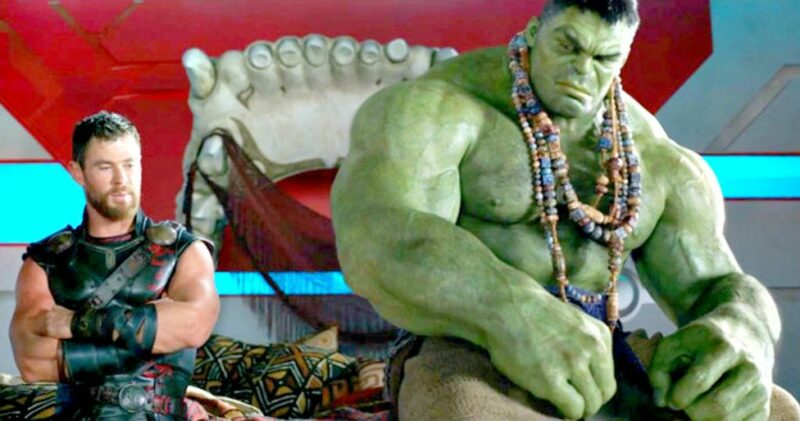 Speaking of fun comic book movies, Thor: Ragnarok pulled the Thor franchise from the garbage heap of Sakaar and delivered the funniest comic book movie of all time. It was a shockingly good year for trilogies. Taika Waititi’s films are so fantastically funny I couldn’t imagine not liking Thor: Ragnarok. The movie went and surpassed all my lofty expectations anyway, and capped off an MCU no-hitter dating back to Captain America 3: Civil War (Dr. Strange was a walk, and Guardians 2 was a long fly ball caught at the track). Spider-Man is my favorite comic book character, and in addition to the 90’s animated series, Sam Raimi’s first two Spider-Man films are an enormous part of why I’m invested in comic book culture. The nostalgia factor around those originals is in the stratosphere. 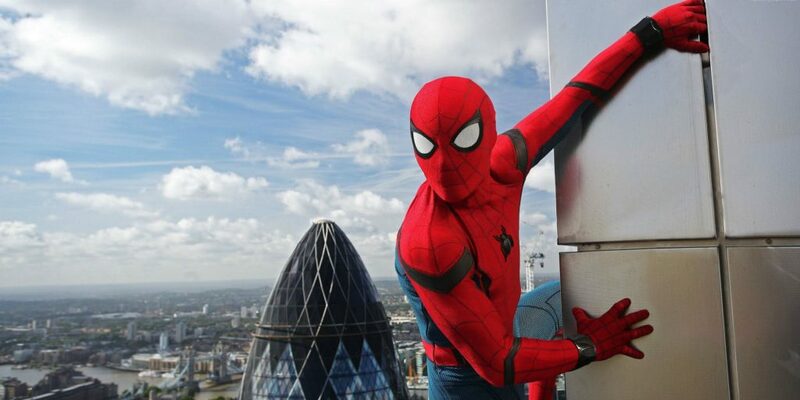 Spider-Man: Homecoming is still my favorite Spider-Man movie. Perhaps it’s my deep and undying affection for Brian Michael Bendis and Mark Bagley Ultimate Spider-Man , but no Spidey movie has so perfectly captured my vision of Peter Parker until Homecoming. The film also escapes the potentially banal trappings of a Vulture story, twisting Michael Keaton’s Adrian Toomes into a blue collar family man with his own code of honor. There will always be a part of me that feels some sense of sacrilige ranking Wonder Woman’s debut movie fourth on a year-end list. After all, it took over 70 years to get Wonder Woman – the most iconic female superhero of all time – her own solo movie. Catwoman, Elektra, and Aeon Flux all beat Diana to the big screen. That’s actively insane. 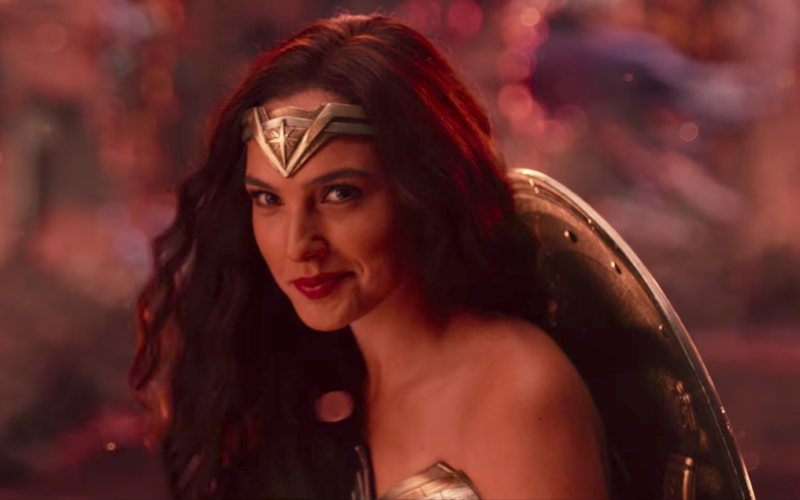 Of course “now we here” is only a fraction of the battle, and the fact that Patty Jenkins and crew were able to so confidently and deftly deliver a high quality Wonder Woman movie is nothing short of miraculous. Wonder Woman origins are fractured in comics moreso than just about any character. Honing in on a tidy narrative is an extreme challenge, and screenwriter Allen Heinberg pulled it off with aplomb. Wonder Woman is an excellent film, and offered a tonic for a battered DC film universe. 2017 was a good year for laughing at comic book movies, with great humor throughout Ragnarok and Guardians Vol. 2. At times, Lego Batman usurps them all, with one of the funniest takes on the Batman mythos imaginable. What could have been a corporate cash-grab turned into one of the most sincere love letters to Batman comics and media. 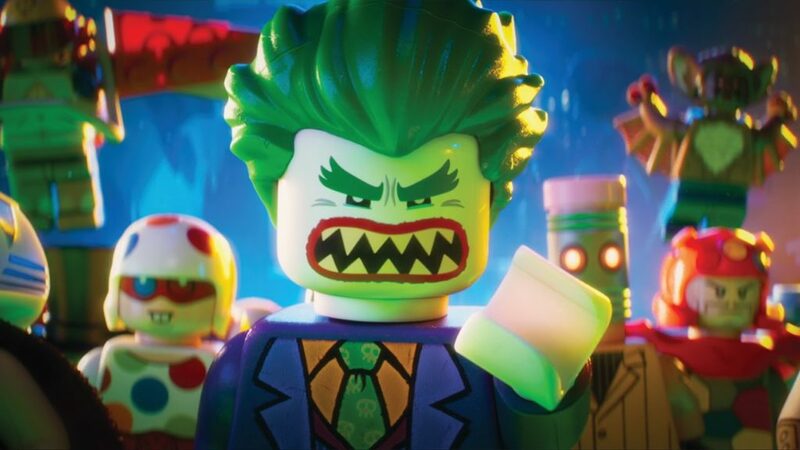 You don’t have to love Batman to enjoy Lego Batman, but boy does it add to the experience of seeing nearly every Bat-character ever show up for their moment in the spotlight (here’s to you Condiment King). I can agree with your list except I would switch out Wonder Woman with Guardians. No I’m not doing that because I’m hating on DC. Wonder Woman, in my opinion, was only okay. It was refreshing to see a relatively good film in the DCEU which I think makes it shine much more brighter than it actually should. For all it’s positives it has the same negatives so many comic movies had in the ’00s. Barely passable CGI, a flimsy villain and it’s ultimately way too predictable. Sadly on repeated viewing it’s issues become all the more obvious. I’m hoping we’ll get a better sequel because Gadot was perfect casting. Guardians Vol. 2 is not without its problems. It thinks it’s much more clever than it is, there’s convenient moments that just make my skin crawl and what they did with Mantis was pretty frustrating. But… but… that ending. I’ve seen it many times (my wife is a tad obsessed with it) and I’m always in awe of the fact that the ending never loses its impact. As much as I roll my eyes throughout the movie they’re consistently full of tears by the end. How Gunn put that much emotion into a ten minute sequence is beyond me. The movie has a perfect beginning and a perfect ending and somewhere in the middle just falls in love with itself too much. Neither of the films are perfect, from a quality perspective I think they’re about even. In the end it’s about which will hold up. Wonder Woman drops the ball at the end and unfortunately that’s what I left with the first time and that’s what I’m left with every time since. Guardians, as I said, hasn’t lost the impact of that final sequence. While that doesn’t excuse the issues that came earlier in the movie it goes a helluva long way towards making it a more emotional and memorable film.